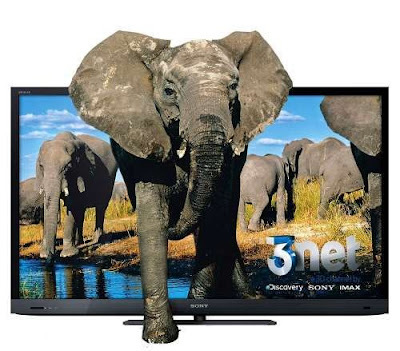 The new 3D TV ( Sony KDL-55HX925 TV ) is Sony’s the top end model available in India and has lots interesting features which makes it a compelling buy. Apart from its brilliant picture quality it has lots of other interesting features where the TV pops up a warning if somebody is sitting too close to TV and it detects presence and location of people in the room to adjust its viewing characteristics. It uses scattered segment LEDs unlike edge lit LEDs found in almost all others TVs here. Sony calls it Intelligent Peak LED. Scattered LEDs forms an array of LEDs behind the LCD screen used for backlit and can individually put it on and off. So the contrast ratio the best available on any LED/LCD TVs, the black levels are next only to the famed Pioneer Kuro series (Plasma TV) which is still highly regarded as the reference TV but now discontinued. Motion Flow XR 800: Increases the perceived frame rate 4 times from 200Hz to 800 Hz by strobing the backlit LED 3 times in between. Internet Widgets with browser and Skype etc built in which is implemented better by many other TV brands. New GUI, Sony deviated from their PS3 like XMB menu, for a better navigation. Presence sensor which automatically put off the TV if people move away from the room.